Inscriptions: u.r. handwritten in pen: "Color / all yellow background / thoreau stamp - black / print this in olive green- the big words will be in yellow / writing in black"
"Untitled." Corita Kent in the Grunwald Center Collection. 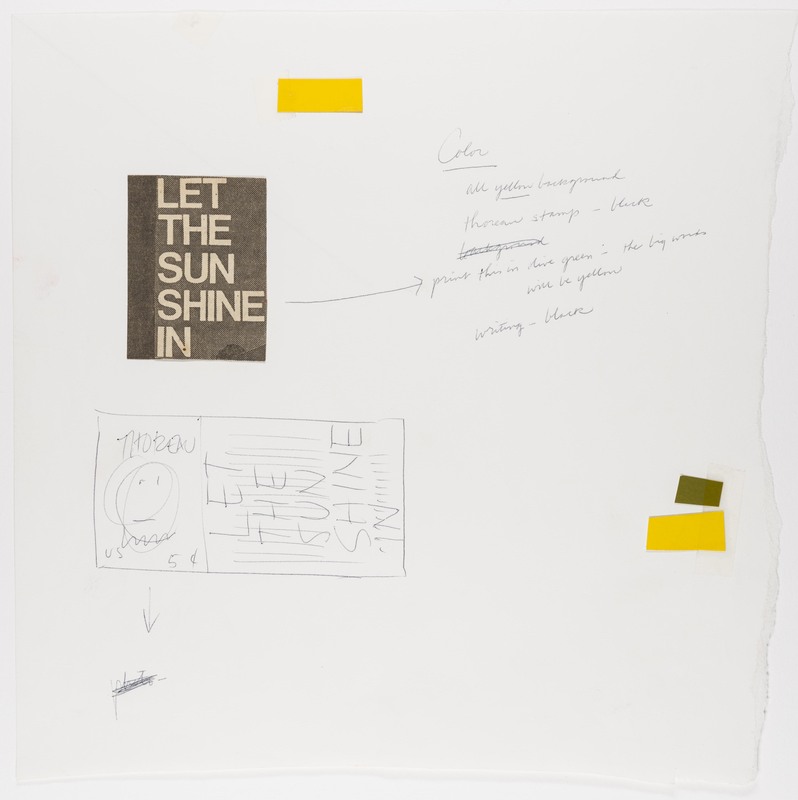 Los Angeles: Hammer Museum, 2017. https://​hammer.ucla.edu/​collections/​grunwald-center-collection/​corita-kent/​art/​untitled-layout-for-stamp-of-thoreau-2/​.